Simply beautiful and full of function, the Amish Shaker Hall Bench offers a bench seat with 16" of storage within. Grace your hallway or foyer with this gorgeous solid wood hall bench that provides a place for outdoor wear as well as books, bags and more. Shaker furniture is sought after for its concentration on providing solid wood furniture that works for you and looks beautiful while doing so. Shaker furniture, much like Amish furniture is handcrafted to serve you comfortably for years to come. Consider the Amish Heritage Shaker Sofa Table to use with this shaker bench. 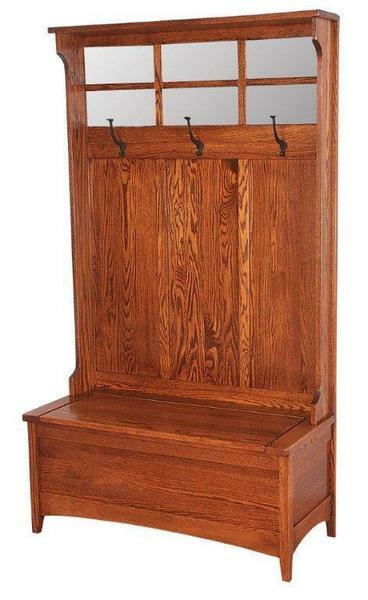 We offer a complete line of shaker furniture for all areas of your home.